A plan by the controversial Kola Mining and Metallurgy Combine (KMMC) near the Norwegian border that will allow it to keep polluting at levels exceeding norms possibly until 2018 was approved by the Murmansk Regional Ministry for Natural Resources, Bellona has learned. The receipt of the document comes at an especially troubling time when the KMMC for the past month has regularly exceeded pollution norms taken on a daily basis by Russia’s Hydrometeorology and Environmental Monitoring Agency, or Gidromet in its Russian acronym. Thier data, viewed by Bellona on Wednesday, show that on May 29, the KMMC smelting operation exceeding its pollution limit by 7.2 times, by 4.2 times on May 31 and by 3.9 times on June 1. Each of these instances constitute a serious violation of Russian, European and Norwegian air codes. Further delays in implementing pollution controls implied by the documents Bellona obtained could see modernizations to KMMC facilities that would reduce heavy metal emissions put off even further into the future – if they are undertaken at all – for a total of about nine years before any improvement is seen. 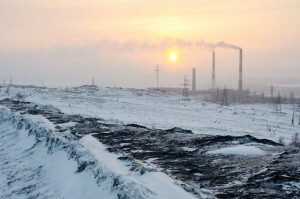 According to documents obtained by Bellona (in Russian), the Ministry has approved a plan for technical upgrades and emissions reductions from the Norilsk Nickel’s Kola Peninsula facilities – long a source of tension between Moscow and Oslo for sulfur dioxide concentrations reaching Northern Norway – that protract the project several more years beyond what had been hoped for as a start date. The KMMC is located throughout three industrial towns on the Kola Peninsula – Zapolyarny, Nikel and Monchegorsk. Zapolyarny and Nikel are located within some 30 kilometers from Norway’s northern border with Russia, while Monchegorsk lies further toward Murmansk’s south. 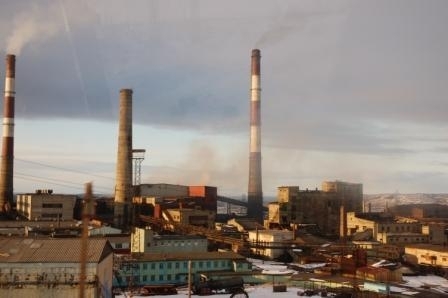 The emissions reduction plan approved by Murmansk’s Ministry of Natural Resources comes as a major disappointment to environmentalists for its elision of any kind of modernization plan that would conclusively reduce the more than 100,000 tons of sulfur dioxide that are annually produced by the smelting and briquetting works at the KMMC, which heavily pollute the company towns themselves, and which also finds itself wafting into Norway and other northern European neighbors at alarming rates. The KMMC is a daughter company of the giant Norilsk Nickel, producer of 30 percent of the world’s nickel supply. Joint talks between KMMC management and Bellona in 2011 had yielded somewhat encouraging results, as KMMC promised to pursue a program of modernization that would significantly limit the sulfur dioxide concentrations, though no time tables were given. Since then, it has been a waiting game, often one characterized by antagonism from the Russian side, that has degenerated into a stalemate over when the giant industrial polluter will undertake measures to reduce its cross border and local pollution – and acerbic accusations in Russian media that Norway is polluting Russia, not the other way round. The documentary confirmation and approval of the KMMC’s plans to continue polluting above legally accepted norms obtained by Bellona spells out a number of feeble measures aimed at supposedly reducing polluting heavy metal emissions for at least four more years. Entitled the “Plan for the reduction of emission of polluting substances into the atmosphere by the KMMC,” the industrial center pushes back any significant reductions at its Zapolyarny and Nikel enterprises until 2018. For instance, the document from the Ministry reads: “In accordance with the ‘plan,’ the deadlines for achieving norms within [guidelines of] maximum allowable emissions are established: 1) For the Zaployarny Industrial installation – 2018; 1.1) introduction of briquetting technology – 2018; 1.2) Cessation of ore mining by strip mining means – 2018,” and puts off achieving emissions within accepted norms at the Nikel smelting facility, likewise until 2018. The document is signed by KMMC general director S G Besedovsky, and is dated March 3, 2014. One suggestion introduced in the plan for reducing emissions, which is in Bellona’s possession, is the notion of simply building higher smokestacks at the KMMC’s Nikel-based smelting facility. “There is nothing in this emissions reduction plan that is revolutionary,” said Bronder, zeroing in on the smokestack plan that would be undertaken in conjunction with the St. Petersburg-based scientific research institute Atmosfera, which itself had a hand in last year’s media war to assign blame on Norway for polluting Russia. 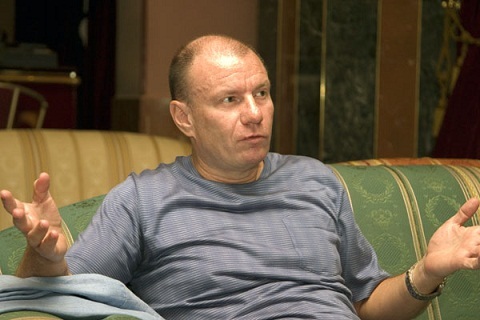 In a late April interview (in Russian) with Russia’s official Interfax news agency, Norilsk Nikel CEO Vladimir Potantin confessed that the old technology at the KMMC was indeed causing environmental problems on the Kola Peninsula and affecting the quality of nickel concentrate that the facilities are producing. “Constructing better quality enrichment and completing the briquetting [pollution reduction measures] at the Kola facilities at minimum will at the very least produce better [nickel] concentrate,” he said. He added that costs for modernizing the workshops throughout the KMMC could reach as high as $1 billion, and that the company may just move them to Norilsk, further into the reaches of Northern Siberia if it cannot improve the quality of its nickel concentrate on the Kola Peninsula. Bronder said Potanin’s comments reflected that the company’s priorities lie with increasing production rather than environmental performance. She added that if Norilsk Nickel’s experimentation with improving quality fail, then the questions surrounding the Kola plants’ modernization become even more pressing. “By then, investing in modernization would be unavoidable if the company wishes to reduce emissions and avoid environmental risks,” she said, adding that the time that may linger between any decision to modernize and its actual implementation could take at least an additional five years. “By refusing to modernize the smelting works, the KMMC is extending its own license to produce emissions and pollute the environment,” she said.